The U.S. Court of Appeals for the Federal Circuit has reopened a copyright case between Oracle Corp. (NYSE: ORCL) and Alphabet Inc.’s Google (NASDAQ: GOOGL). The appeals court ruled that Google’s use of Java shortcuts to develop Android went too far and was a violation of Oracle’s copyrights. The ruling reversed a 2016 jury verdict. The case dates back to 2010. The dispute between the two tech titans began over how much copyright protection the Java programming language should have. Google claims it should be able to use Java without paying a fee. Oracle wants Google to pay royalties for its use of some of the Java language. Oracle became the owner of the Java programming language when it acquired Sun Microsystems. Its ownership includes the patents, documentation and libraries. 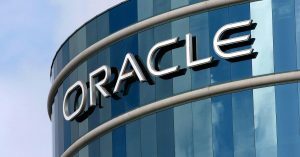 Oracle allowed developers to use this information without cost, but changed its tune when Google built its Android operating system on top of the Java language. The Android operating system runs most of the world’s smartphones. Oracle sued Google over both copyright and patent violations. Google argued that it was unaware of any patent infringements and that its use of the Java development platform was protected under the fair-use provision of copyright law. In May 2012, a federal jury sided with Google. In 2014, the Federal Circuit sent the issue of copyright and fair use back to the District Court. In May 2016, a second jury trial related to the fair use issue ruled again in favor of Google. Oracle then appealed to the United States Court of Appeals for the Federal Circuit. The dispute could have far-reaching implications for the entire software industry. Some think the case is now going to go to the Supreme Court. Google says it is considering its options.